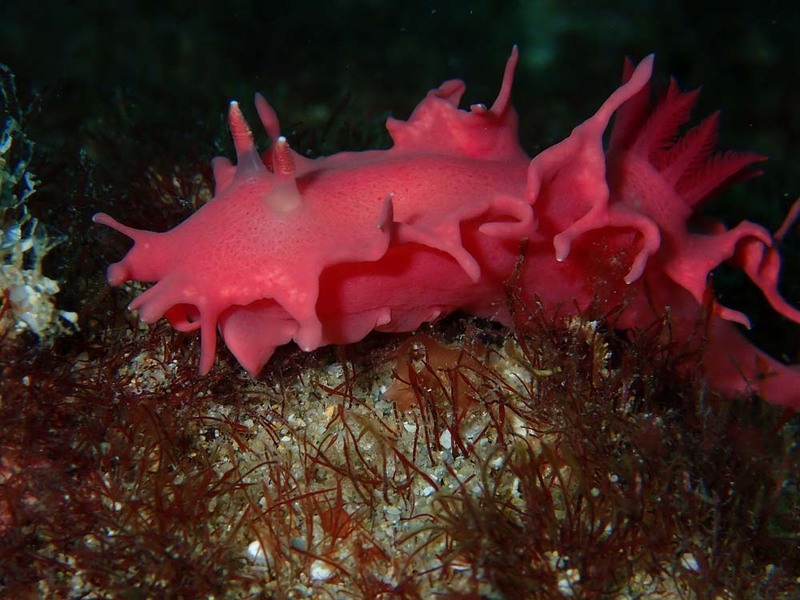 The following images are of the Nudibranch Verconia verconis under Portsea Pier in Victoria, Australia. It can come in a variety of colour forms depending on its food source. 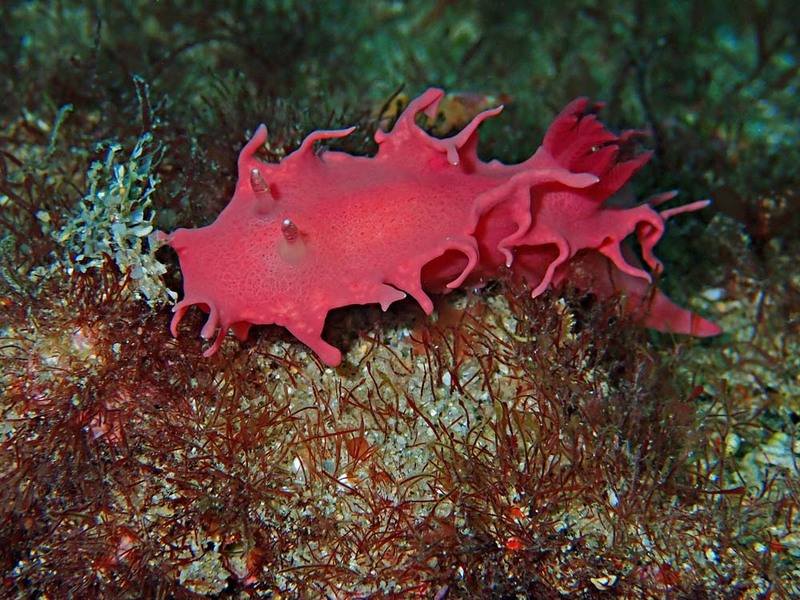 Here it is living on the sponge Dendrilla rosea. 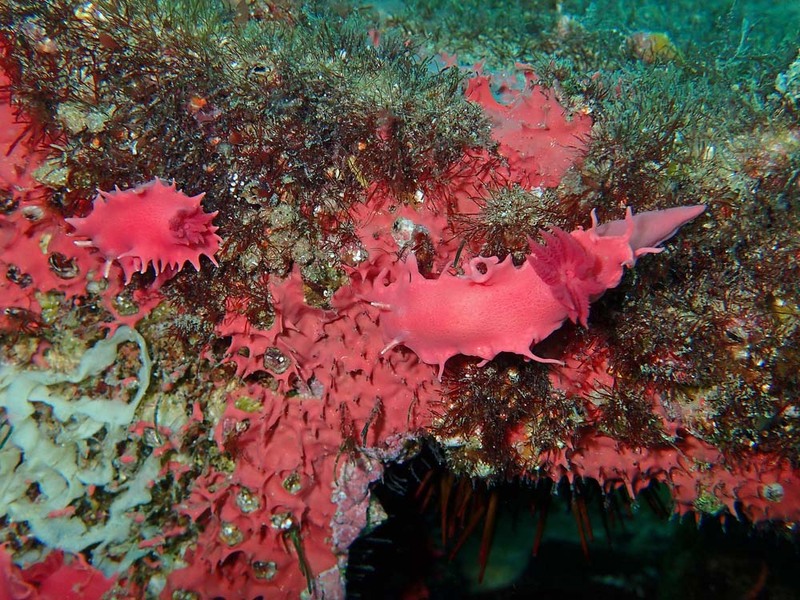 Note that there is one image where six nudibranchs surround what I believe is a ribbon of their white eggs (I stand to be corrected as I did not see them being laid). 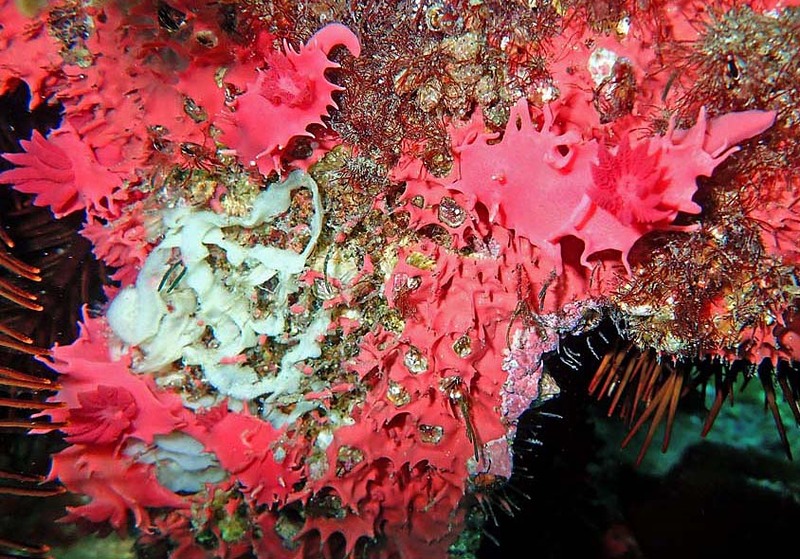 Yes the colours are beautiful - I like that as well as matching the colour of the sponge these nudibranchs also match the texture of the sponge with its spiky protuberances.